This guide to buying the best camping tent is brought to you by Primus, whose propane camping stove is a must-pack on your next outdoor adventure. For beginners, the prospect of buying a tent (or any outdoor gear for that matter) might feel overwhelming, if not for the sheer number of options then for the conundrum of what to buy based on where you’re headed, what type of weather you’ll encounter, and how long you’ll be out. Which is the best camping tent for you? The good news is that the basic principles for buying a tent are simple. The bad news is that there are always going to be more options than you know what to do with. To stave off purchase panic, we’ve put together a quick how-to guide for buying the best camping tent for you, including some important factors to keep in mind as you seek to build out your gear stash. (Left) Image from The Dyrt camper Theodore W. (Right) Image from The Dyrt camper Wutang P.
Between size, seasonality, and the type of tent you’re looking for, there a number of things to consider when scoping out your perfect camping home. You might hear the term “footprint” when you start shopping for tents. This refers to the amount of space the tent takes up on the ground, or the size. Standard sizing for tents is expressed in terms of the number of people the tent is expected to hold. When evaluating a tent for size, assume that a “four-person tent” means that while four people can fit in the tent, you won’t have any room left over. Most people will want to buy a two-person tent for one, and a four or three-person tent for two. This will give you room to move around and also to store some gear. (Left) Image from The Dyrt camper Daniel B. 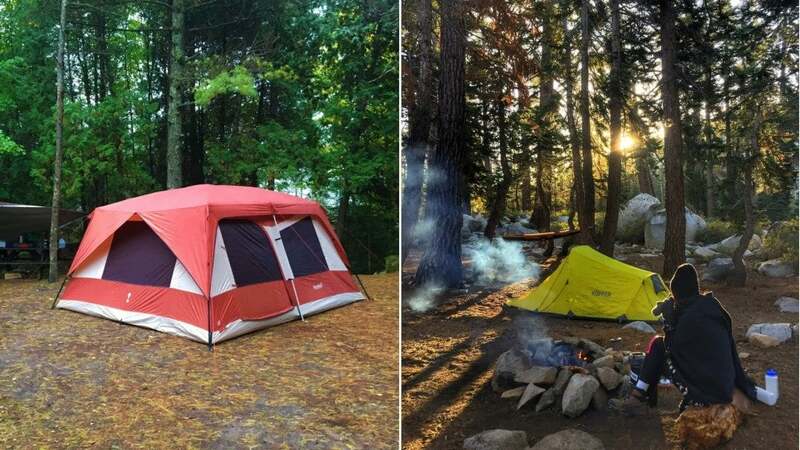 (Right) Image from The Dyrt camper Cassandra L.
For the majority of campers, a three-season tent is durable enough to withstand most climates from spring through fall. Three-season tents are typically lightweight, easy to assemble, and have mesh panels on the side for warmer weather. Three-season tents also include a rain fly, which is equipped to withstand most types of storms, though not for a sustained period of time. The next level up is a three-to-four-season tent, which is slightly sturdier than a three-season and offers fewer mesh panels, making it warmer and therefore more equipped to handle late fall or early spring weather. This step up is mostly recommended for frequent high-altitude campers—those who might encounter some snow but are not regularly camping in winter conditions. Four-season tents are the tent for snow and winter campers. 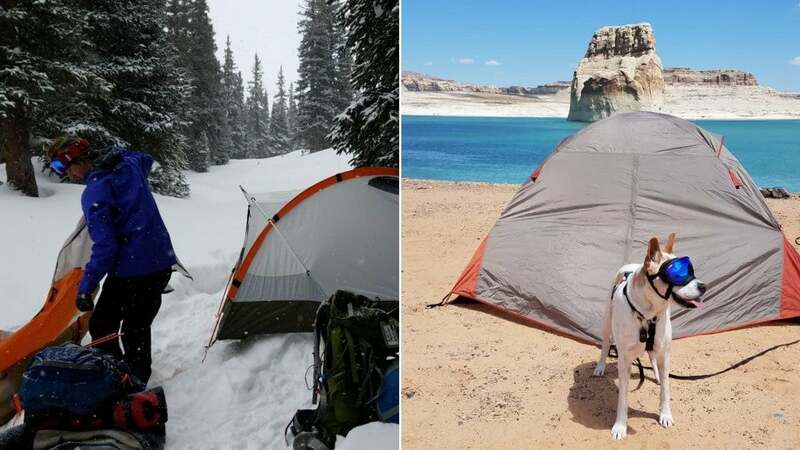 The price of tents jumps significantly between three-to-four-season to four-season tents, because four-season tents are usually labeled high-grade “mountaineering” tents. While technically usable in any season, these sturdy, dome-like tents are truly built for harsh conditions, and can feel a bit stuffy in milder weather. No matter how new you are to camping, trusting your gut is the key to making a good purchase. 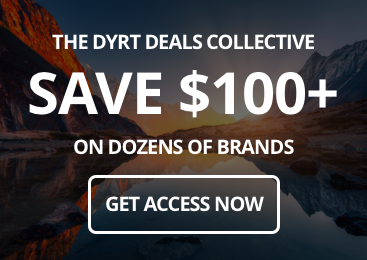 There is a ton of expertise in the outdoor industry, and each store or website you visit is likely to be teeming with sources of knowledge that advocate for different brands, tent types, and setups all according to their own preferences and priorities. It can be difficult to parse through the feedback you’ll receive as you look for the best camping tent to suit your needs. Advice is valuable, but so is your own intuition about what you really need. Establishing your budget is the first step. In a sector where prices range from $60 to $6,000 (we’re not kidding), price will be one of the biggest determining factors in how you narrow down your search for your camping tent. It’s also worth comparing tents at different price points to see where they differ and what causes the biggest price jump. 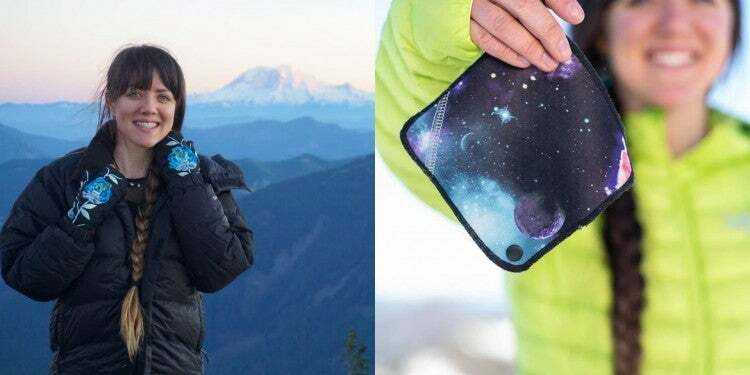 Features like all-weather functionality (material), interconnected pole mechanisms, and weight are often huge factors that can lead to hundreds of dollars of difference in price. 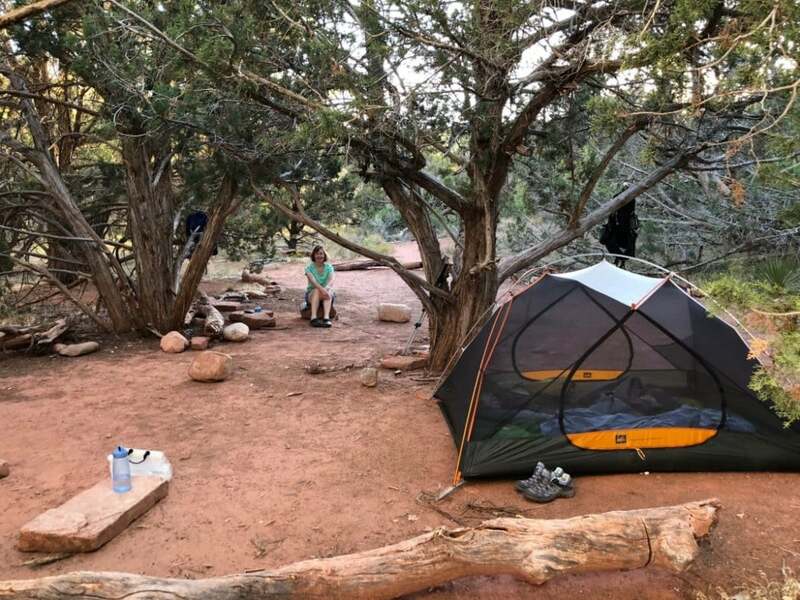 Image from The Dyrt camper Robin H.
When you’re looking for your home away from home, one of the most crucial steps is narrowing down the aspects of your trip and lifestyle to match the type of tent you should purchase. If you like the idea of hiking to your campgrounds, you’ll want to pay attention to factors like weight, packability, and durability. While you probably won’t go backpacking for your very first camping trip, it’s helpful to consider the type of camping that you’re excited to try in the future. A lightweight backpacking tent can grow with you from your first camping trip to a week-long adventure in the wilderness. On the other hand, if you’re a family camper with a blow-up mattress in tow, then you’ll want to prioritize comfort and spaciousness over things like ease of setup and total weight. Doing your research before going to the store for the first time will save you the time of narrowing down your options on the go. Dome Tents: Dome tents are your traditional mountaineering style tent. The walls on dome-shaped tents are curved as they come down from the center of the tent, to withstand harsh weather. Dome tents also provide a little bit less interior space, both as a result of the curved tent walls and to support insulation. Cabin Tents: Family tents and three-to-four-person lightweight camping tents are almost always “cabin-style,” meaning they’re fitted with close to vertical walls and work to maximize the “peak height” of the tent (listed on the gear specs for every tent). Depending on the model and size, these tents can offer anywhere from just enough room to crouch to room to fully stand-up, and occasionally feature room separators and large, open vestibules. Ridge Tents: Ridge tents might be what you picture when you think of the old school tent style, that is, a supporting pole in the middle with two sharply sloped sides to create the traditional, triangular shape. While ridge tents can be made large enough to incorporate standing adults, the design itself has largely faded from modern camping circles due to the lack of storage space and headroom. Instant (Pop-up) Tent: The pop-up tent has become more popular as of late, as they’re designed to take shape without any setup required. For inexperienced campers or festival goers hoping for an easy place to crash, these tents are ideal as they’re lightweight and extremely easy to carry. Tunnel Tent: Tunnel tents make use of curved poles to support a more open design, and once constructed they often provide more space than the dome or ridge tent designs. Due to their semi-complex design, tunnel tents can require significant setup time, though their versatility and spaciousness make them a popular option for frequent, home-away-from-home campers. Geodesic Tent: These tent types are similar in design to dome tents, but have an extra set of poles that create additional space and a reinforced outer structure that can withstand significant weather. Geodesic tents are ideal for multi-season camping in winter weather prone areas. For backpacking purposes, a semi-geodesic tent is a great option because it provides the strong design without the extra poles, saving some critical pounds on your pack. Backpacking Tent: The true backpacking tent design is meant to be as compact and lightweight as possible. Generally speaking, these tents are created to stand low to the ground and feature a long, slender design with a small vestibule area. Though lacking in the headroom and storage of other styles, this is the ideal type for a lengthy backpacking trip. 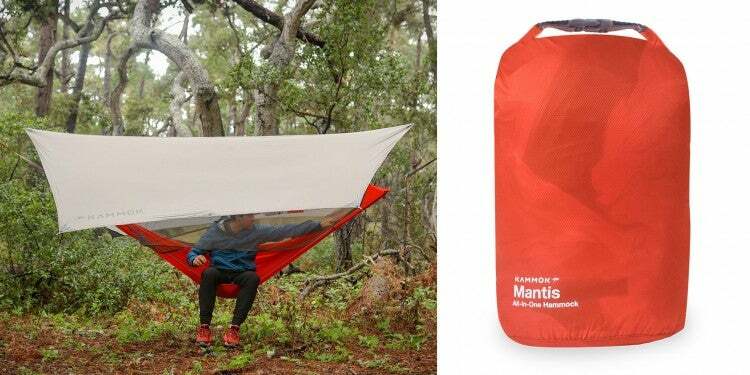 Hammock Tent: A hammock tent is a hammock with with some sort of cover for shelter. They’ve become all the rage in the past few years, mainly because of their comfort and convenience. Unlike traditional tent designs, hammock tents can be set up anywhere there are two sturdy posts or trees. Available as domes or a tarp-and-cover, hammock tents are a lightweight, fast-packing approach to camping that should only rise in popularity as popular campgrounds become harder and harder to book. Image from The Dyrt camper Kevin B. Ventilation: The number of mesh panels is usually a good indicator as to the amount of ventilation a tent will provide. Also look at how the doors are shaped and how “open” the tent looks when fully set up. Tent Poles: “Traditional” family tents are almost all freestanding, meaning they can be picked up, moved, and shaken out without much hassle prior to staking. Generally, fewer poles means an easier setup. As far as materials go, aluminum poles are more durable than fiberglass. Materials: When assessing tent material, look for the denier (den-YAY) levels as a good indicator of the fabric strength (the denier refers to the thickness of the yarns used). As a beginner tent buyer, this probably won’t affect your purchase too much, but it’s a good thing to keep in mind. Industry standard for denier is anywhere from 75 to 150 depending on where the fabric is being used. More rugged areas of nicer tents (like the floor) will go up to 300. Interior loops and pockets: Again, not a make-or-break feature for most folks, but checking out the interior storage pockets and lantern-hanging loops might be something you want to consider, particularly if you plan to camp in wet weather, where it can be more important to keep your non-waterproof accessories off the floor. Once you’ve settled on a tent you like, you might feel the pressure or urgency to buy it onsite. When the gear-bug bites, it’s tempting to make hasty decisions. But when you’re trying to buy your first tent, slow-rolling the process a bit could save you money and time. 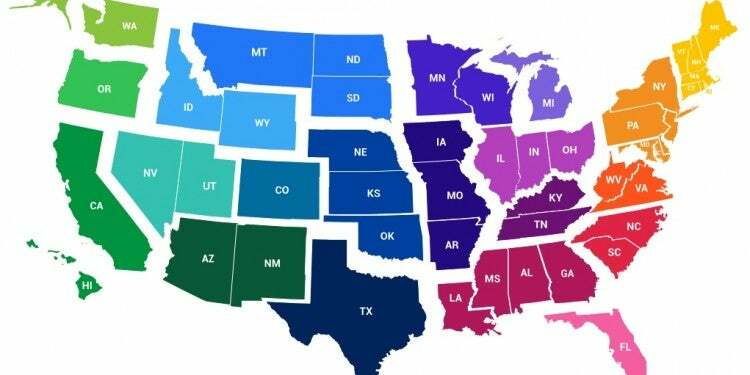 In addition to providing extra insight on your top picks, review websites and a variety of brick-and-mortar locations could save you money as well. The following sites offer top-notch gear at budget-friendly prices. You can’t try sleeping in a tent in the store the same way you try walking in a pair of hiking boots. But there are ways to test different tents before deciding on the best tent for you. 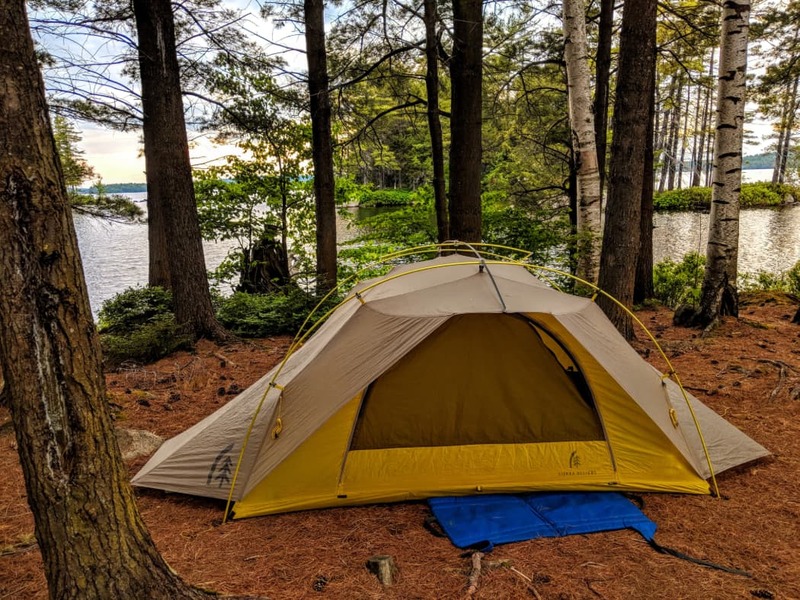 If someone you know has a tent similar or identical to the one you’re considering, see if you can borrow it for a night at a campground, or even for a few hours in your backyard. Like most other outdoor gear, nothing compares to being able to test out your tent in the field. Additionally, some larger outdoor retailers like REI have excellent return policies that might allow you to take your tent on a test run before you’re committed. If this is your strategy, we recommend a light testing environment like your backyard or a quiet, clean, easily accessible campground. 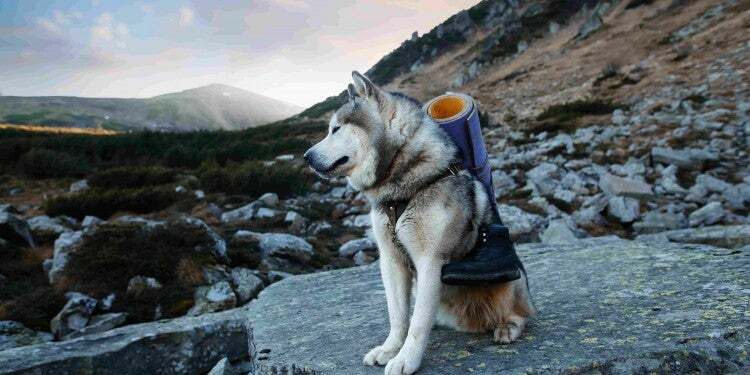 You can also find companies that rent camping gear. Renting can be an optimal way to test out that tent you’ve been looking to buy, or to simply get a taste for the different styles available. 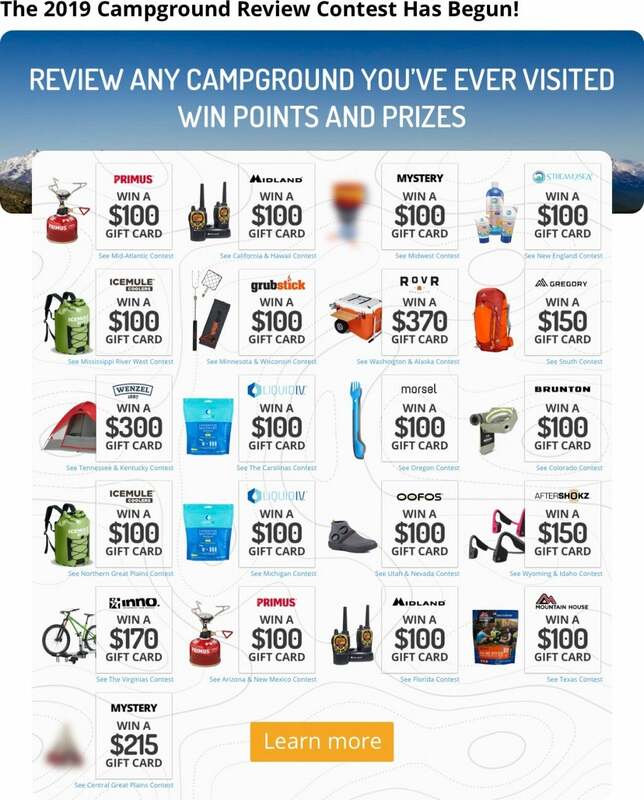 The following retailers offer excellent quality gear for reasonable prices, including tents for as low as $25 per trip. 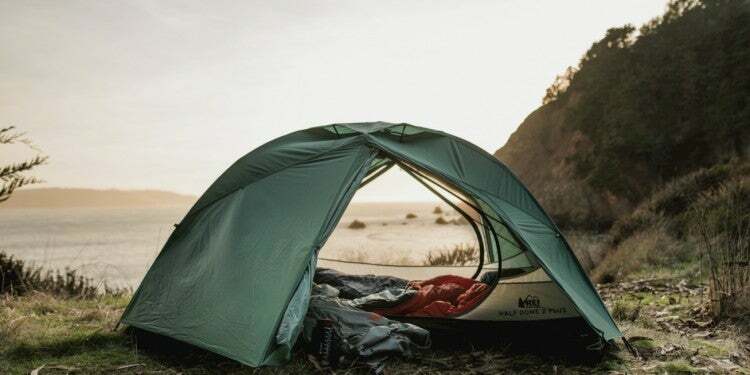 There are hundreds of tent brands and styles, and finding the best camping tent for you and your friends or family might not be as easy as a 20-minute visit to REI. Your perfect camping tent does exist, it just may take some patience before you find it! 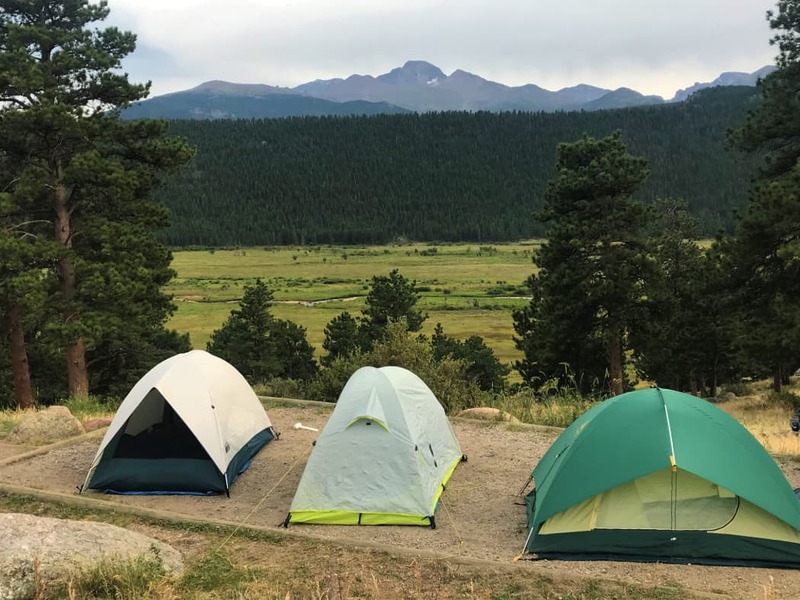 Utilizing some of the sites and general strategies in this guide should help to make the process smoother, but ultimately, buying a tent is all about what works best for you and your camping goals and priorities. 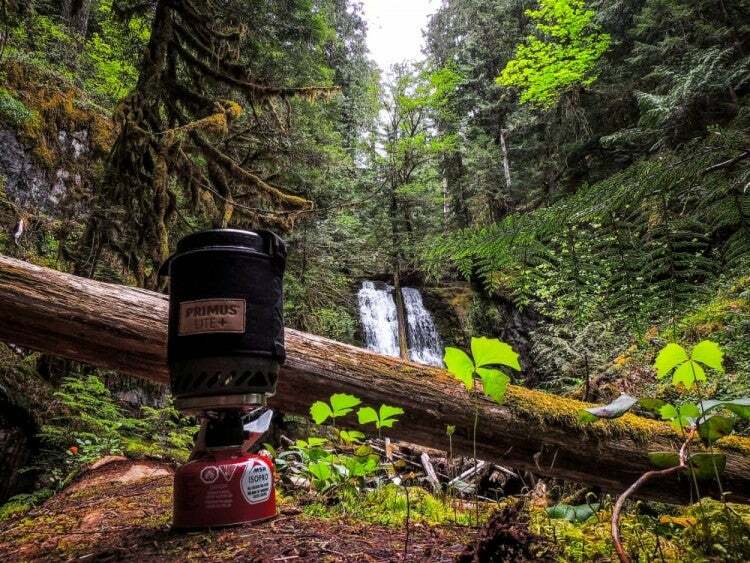 Pick up a Primus backpacking stove before you hit the trails!